Oxidation of (B) using Pot. Permanganate gives benzoic acid and decarboxylation of benzoic acid using soda lime gives us benzene as the final product which is the correct answer to the question. Can someone explain to me the probable mechanism for that reaction? Why are acid catalysed reactions of carbonyl compounds reversible? 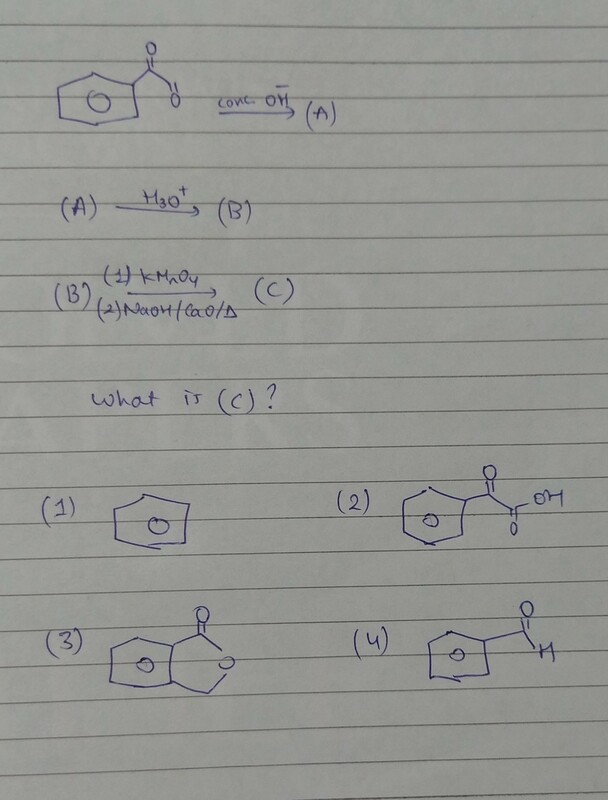 Acid Catalysed Ring Expansion – Mechanism?